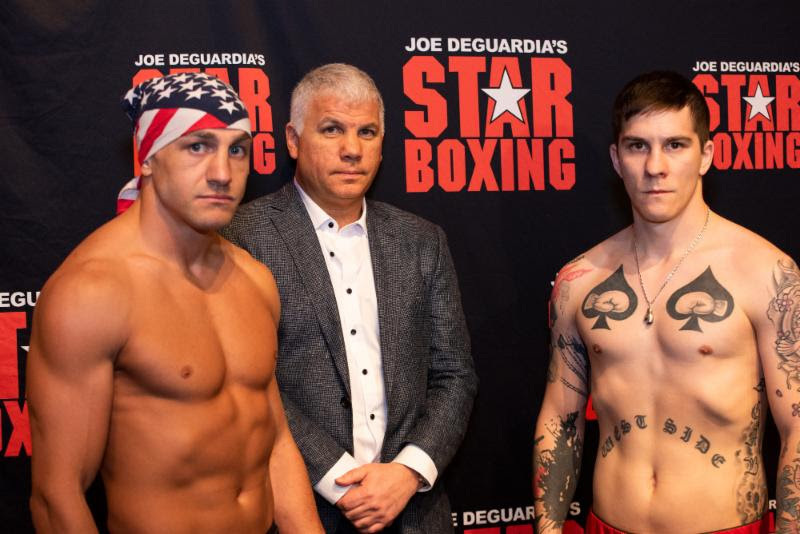 The entire card for Joe DeGuardia’s Star Boxing’s, “SLUGFEST at the SUN” weighed in today outside of the box office at Mohegan Sun Arena, in Uncasville, Connecticut. 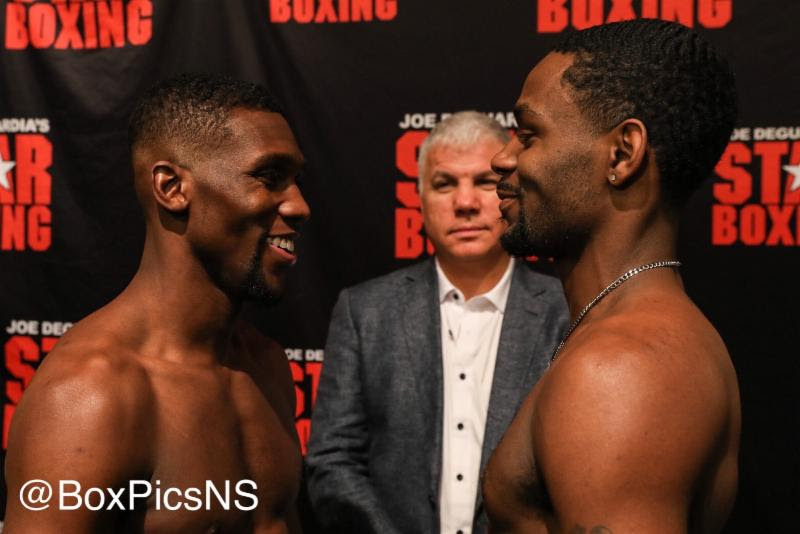 All fourteen fighters looked fit and ready to go, ahead of tomorrow’s stellar night of fights at Mohegan Sun in Connecticut. Tickets can still be purchased HERE. Doors open at 6:30PM, and the first bout is set for 7:30PM. 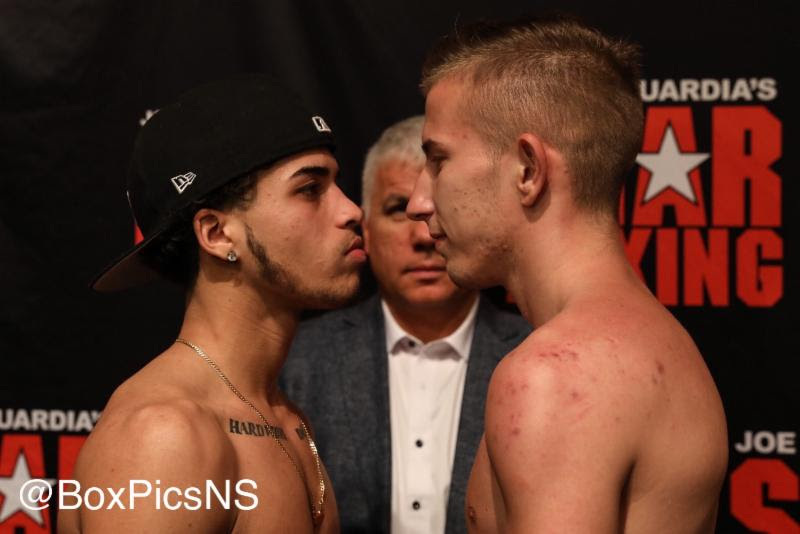 JACOB “LEFTY” MARRERO: 131 lbs. RONNIE “TEFLON RON” AUSTION: 143 lbs. MARQUIS “THE HAWK” HAWTHORNE: 142.5 lbs. 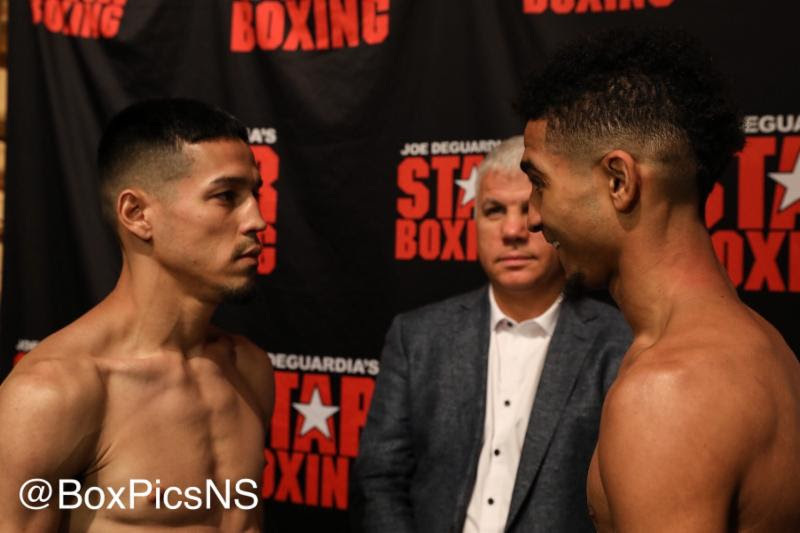 Tomorrow night, January 26th, Star Boxing returns to Mohegan Sun for another exciting, action packed night of professional fights as knockout artist CLETUS “The Hebrew Hammer” SELDIN fights Hungarian banger ADAM MATE in an all out brawl. 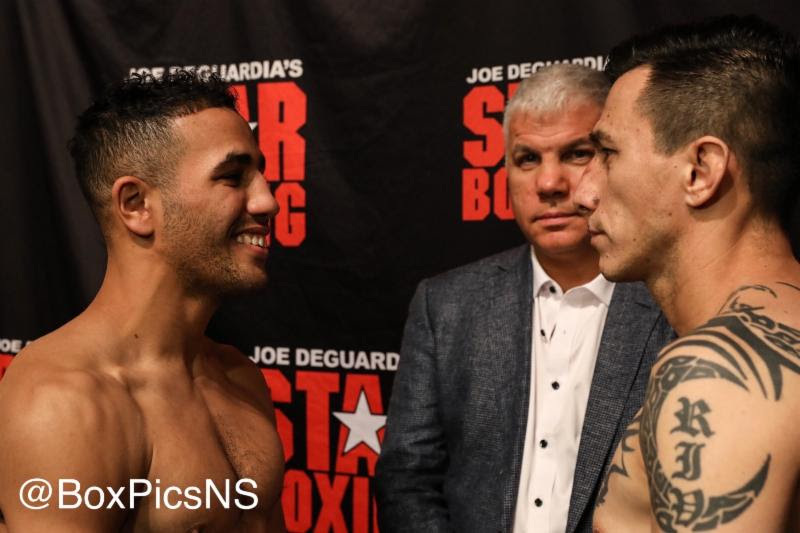 Other exciting bouts include Undefeated New England sensation “Action” ANTHONY LAUREANO. 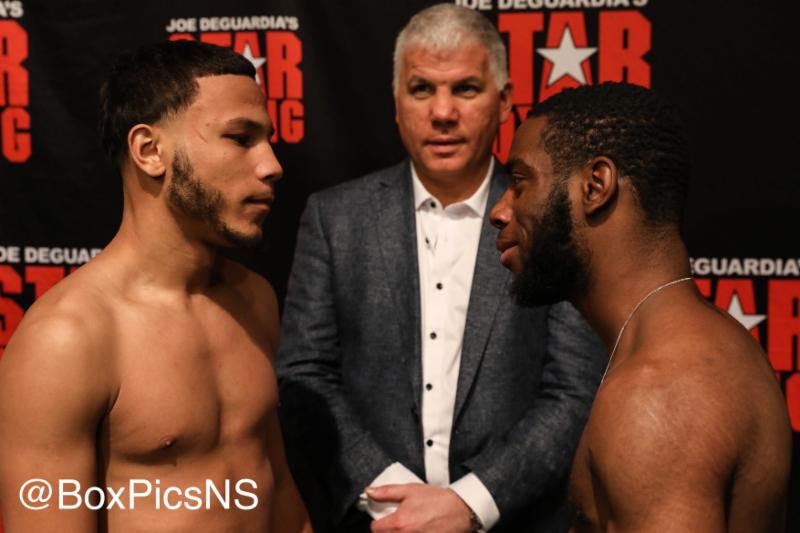 Also on the undercard are New England prospects, undefeated New Haven product WILLIAM FOSTER III, Hard Hittin’ New Britain’s own, NATHAN MARTINEZ and Bridgeport’s own, JACOB MARRERO. 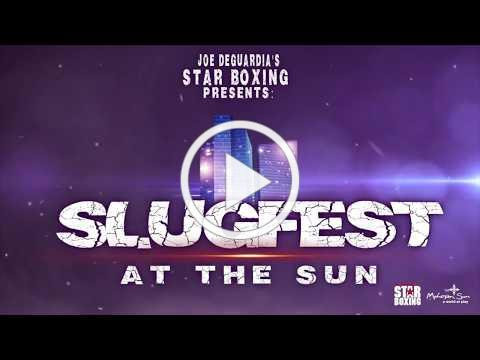 WATCH THE ENTIRE SHOW LIVE SLUGFEST AT THE SUN CLICK HERE!! Watch SLUGFEST at the SUN live on PPV through FITE.TV. FITE, the world leader in the digital distribution of combat sports will stream the event live on the www.FITE.TV website, FITE mobile apps for iOS, Android, and the FITE channels of Amazon Fire, Android, Apple TV, and Roku on a PPV basis. The FITE PPV will be available for just $14.99. This broadcast will be blacked out in the New England area. To accommodate the French audience, David Papot vs Courtney Pennington will be the 3rd fight on the show and will go on at approximately 8:30 PM/ET (2:30 AM, January 27th in France) to accommodate the live audience in France. Tickets for the live event start at $29 (plus venue fee) and can be purchased at ticketmaster.com by clicking HERE or by going to www.StarBoxing.com. Tickets can also be purchased at the Mohegan Sun Box Office at Mohegan Sun Arena in Uncasville, CT.